A site-specific installation developed in the past two months uses the volume and the character of the given space as a necessary framing for a new sculpture of monumental dimensions. 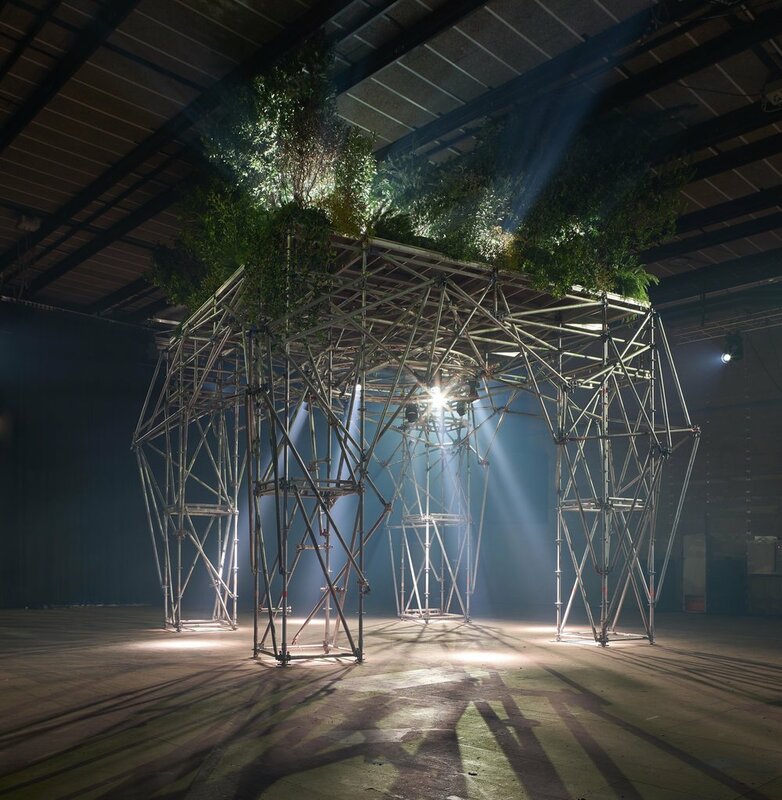 The artwork combines modular grid structure, the element of nature, sound and light. The artists often use different media to create an experience of an all-encompassing environment, molding the ephemeral into a palpable temporary presence. The work talks to an embedded notion of beauty and positive grandeur in all of us; humanity’s capability to learn, accept, grow and protect. All materials are used to create a temporal installation, a fleeting and sublime experience that will remain in our shared memory of today will be returned to its previous state (therefore creating zero waste). Future is a matter of projection, but mostly a consequence of actions we mindfully trigger today.